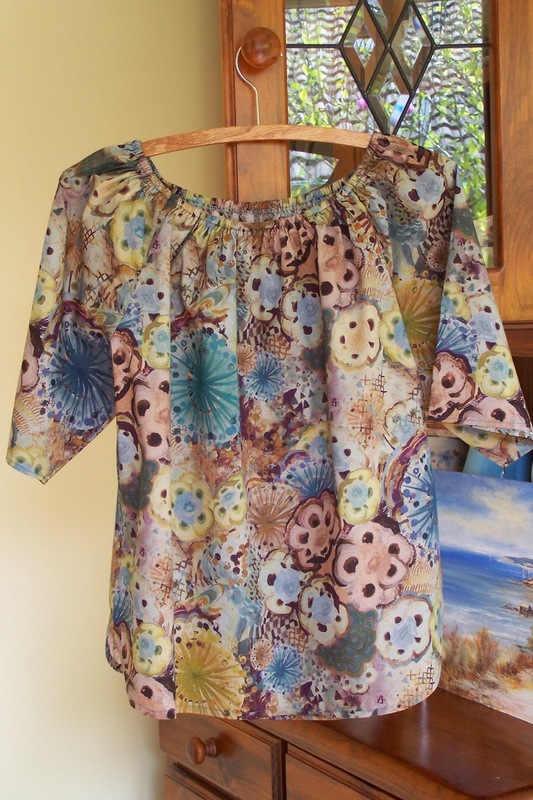 I have made this Butterick top 3 times and really like it as it is a cool top to sew quickly for summer. I raised the neckline about an inch as I didn't use lace and didn't want it to be too low. 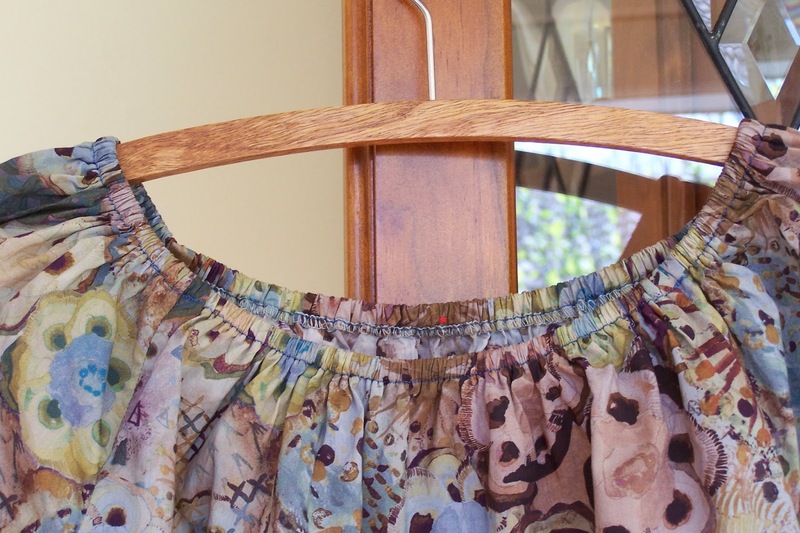 The fabric is Liberty's Tana Lawn and it is divine! Here is a close-up of the fabric. It is like a watercolour painting. I finished the neckline with an overlock stich, folded it over and sewed it down leaving enough room for the elastic. I think it is easier and neater than turning over a small hem and then turning over enough for the elastic casing. I also sew in a marker for the back in red thread as it is hard to tell the front from the back. This is the pattern. I made the white version on the top right, minus the sleeve ruffles and the lace around the neckline. My next project will be clothes for these kinds of dolls. I bet you know who she is. 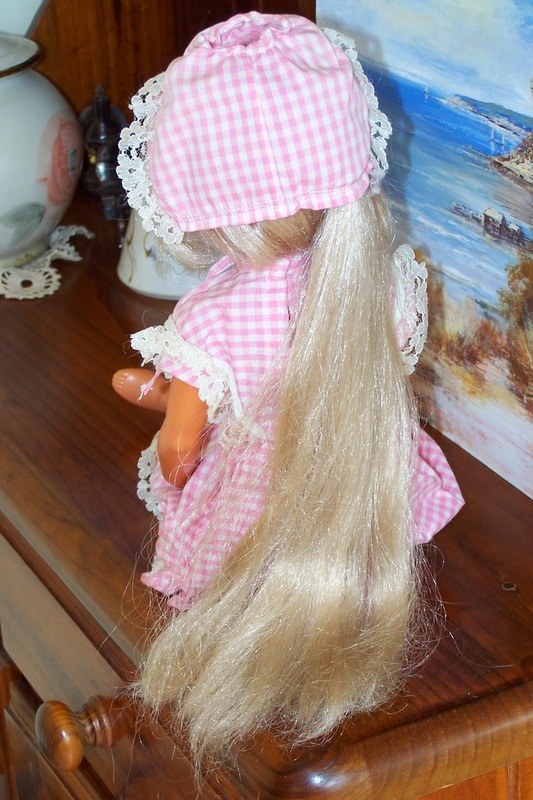 Leave your guess in the comments section for this little Mystery Doll! That's a pretty top, I love the fabric! Is the doll a Crissy family doll? Although her feet look like Sasha doll feet... I'm curious to find out! Yes, you are correct Nymphaea! She is one of the bigger girls - can you guess which one? I saw your post about your Crissy and had to have one too! I found some sellers in Australia so I have this one and a Crissy who has had her base hair trimmed but I still love her. I am going to make them some groovy 1970's gear. I love this Liberty fabric but it is incredably expensive over have you have to be sure your garment is going to work out. The fabric is beautiful (as is the blouse). I would be scared to death to make something out of such expensive fabric! Your Crissy is very cute and I know she will be wanting lots and lots of clothes. Thanks Audra. I had sewn this pattern 3 times already so I was fairly confident. The only problem was my dodgy Janome was sewing a bit too fast around the curved hems and it won't go slower! I will have to get a replacement at some stage. 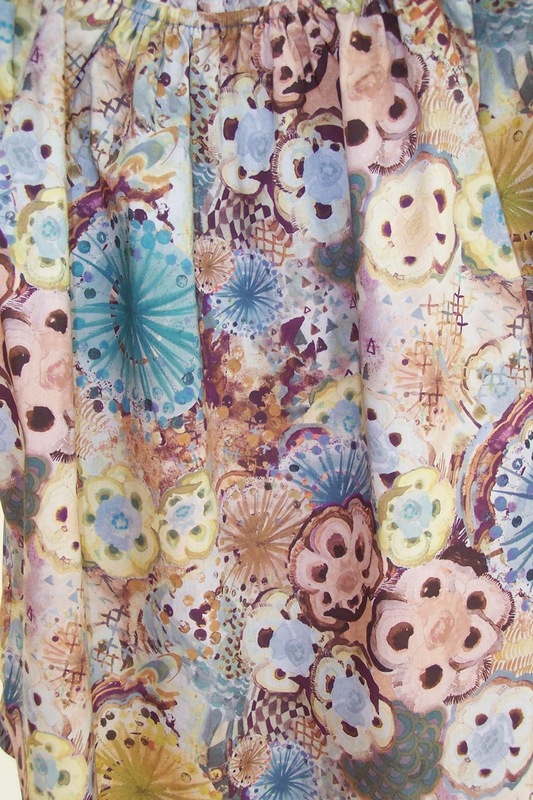 I am starting on a maxi dress for this dolly which I am making in some wild orange paisley print fabric. I live near the city of Melbourne, which is in Australia. I have lots of arty crafty passions, which was the inspiration for the title of this blog. I am aiming to sew some more clothes for myself, and sometime soon do some more of my art. Oh, and I also love making cloth dolls (which I think are over-taking this blog at the moment). Follow me on my journey! Lizzies Arty Crafty. Watermark theme. Theme images by Colonel. Powered by Blogger.